Part of Firefly’s mission is to give back within the community – both locally and internationally. 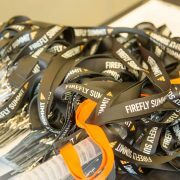 At the Firefly Summit 2017, the Social Good sessions raised over £1,000 for three charitable projects Firefly contributes to and helps promote when not manufacturing and distributing foot orthoses! Firefly capitalised on the positive vibes during the Social Good Session and raffled off a MESI automated ankle brachial pressure indexing diagnostic device to raise donations for these fantastic projects. A massive thank you to all who contributed and well done to Angela McAnearney from Galway whose name was pulled from the hat to win the prize! 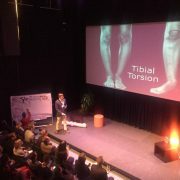 The raffle raised €1,681 in total and the monies have been split equally between the three projects that featured during the Social Good sessions. During the Summit, big wave surfer Easkey Britton explored the power of surfing as a creative medium for cross-cultural connection and women’s empowerment in places such as Iran. As a student of podiatry, Sarah O’Connell initiated foot health clinics in Tanzania along with her colleague Ailbhe Murray [pictured above]. 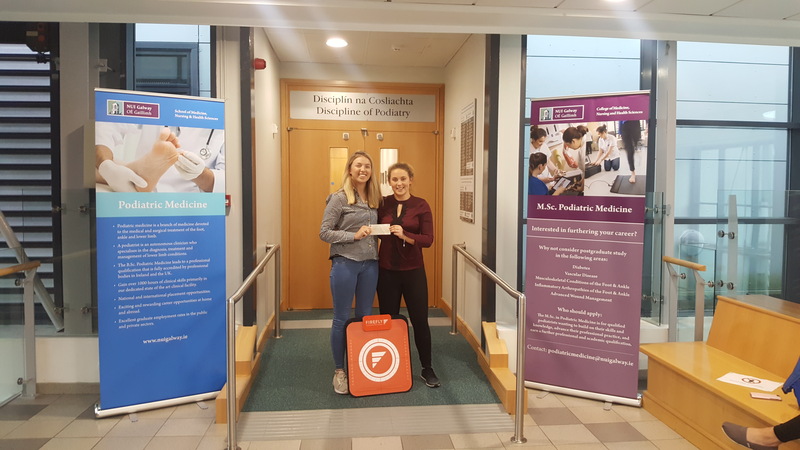 Sarah recently presented a cheque to Ailbhe Murray with a share of the money raised for the Feet First programme following the Firefly Summit. Saskia Rysenbry spoke about her experience building and running a income-generation cafe in South India as a means to support marginalised and disadvantaged groups of girls, women and elderly and empower the local community.